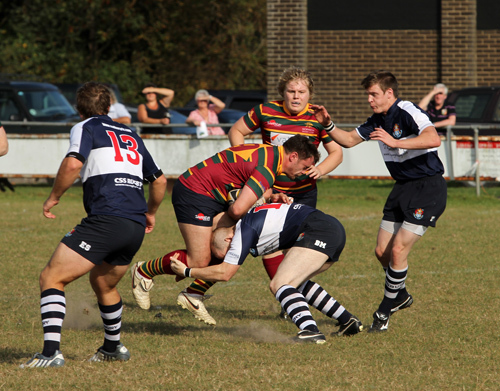 Running rugby was the order of the day in the glorious October sunshine as Norwich moved into third place in the league, swapping places with Sudbury, after an emphatic 45 to 14 points victory. Sudbury scored first when tight head prop Rix was allowed to rumble over the line in the third minute after some poor Norwich tackling. Summers converted to give the visitors a 7-nil lead. For the next seventy minutes Norwich were in the ascendancy. 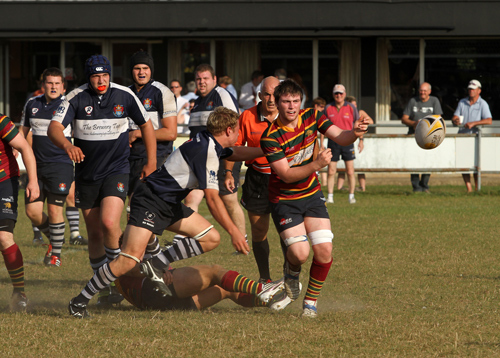 Outside centre Rob Micklethwaite scored two tries, which he then converted, followed by a try from right winger Jon Coltman, which Micklethwaite also converted to give Norwich a 21 to 7 points lead. 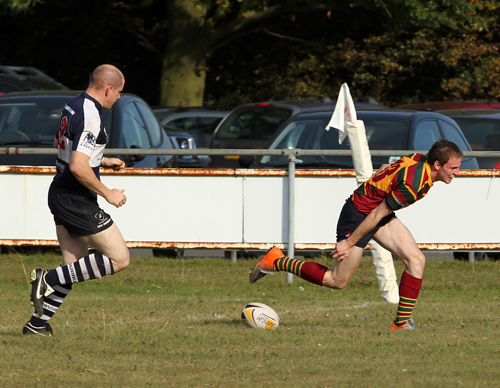 Coltman scored another try at the end of the first quarter, but the conversion was missed. Following a penalty miss by Sudbury, Micklethwaite completed his try-hat-trick just before half-time, but failed with the conversion. The half-time scoreboard showed Norwich ahead by 31 points to 7. Norwich full back O’Brien started the scoring in the third quarter with a try after a scorching run from inside his own half, which Micklethwaite converted. 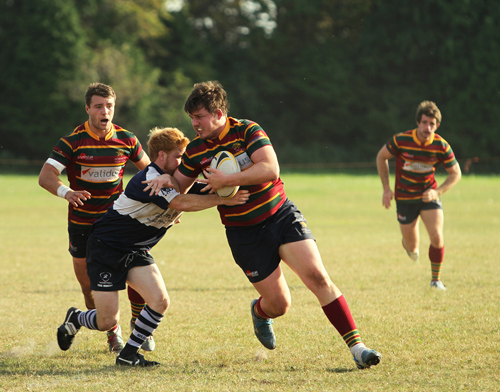 This was soon followed by a try from flanker Cartwright, which Micklethwaite also converted. 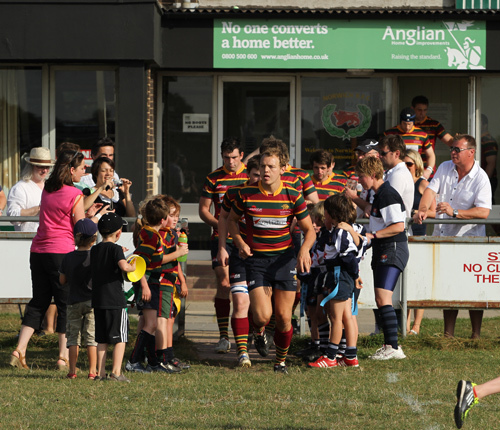 With the hot weather creating player fatigue, the fourth quarter remained scoreless until seven minutes before the end of the match, when Norwich prop Swanborough was sent to the sin bin for an illegal tackle. 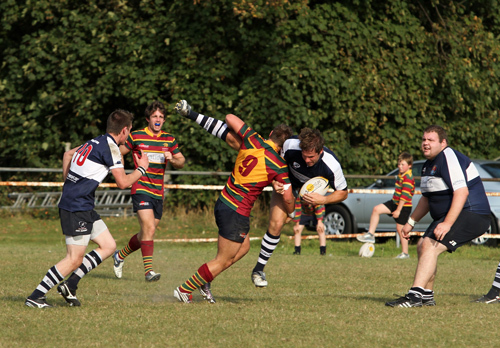 The Sudbury pack rallied against the remaining seven Norwich scrummagers and, after a series of scrums on the Norwich line, earned themselves a consolation penalty try, which Summers converted, resulting in a full-time score of 45 points to 14. Anglian Home Improvements supporting communities across the UK. Visit the Anglian Charity and Community section for more stories. 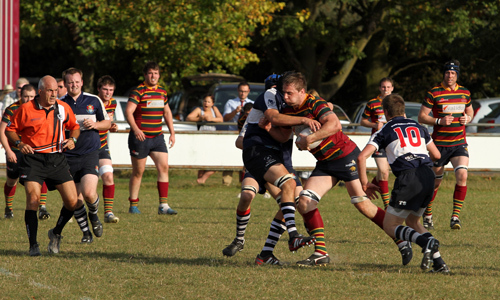 Running rugby was the order of the day in the glorious October sunshine as Norwich moved into third place in the league, swapping places with Sudbury, after an emphatic 45 to 14 points victory. Sudbury scored first when tighthead prop Rix was allowed to rumble over the line in the third minute after some poor Norwich tackling. Summers converted to give the visitors a 7-nil lead. For the next seventy minutes Norwich were in the ascendancy. Outside centre Rob Micklethwaite scored two tries, which he then converted, followed by a try from right winger Jon Coltman which Micklethwaite also converted to give to give Norwich a 21 to 7 points lead. 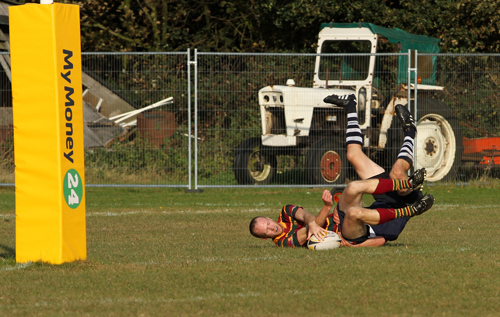 Coltman scored another try at the end of the first quarter but the conversion was missed. Following a penalty miss by Sudbury Micklethwaite completed his try hat trick just before half-time but failed with the conversion. The half-time scoreboard showed Norwich ahead by 31 points to 7. 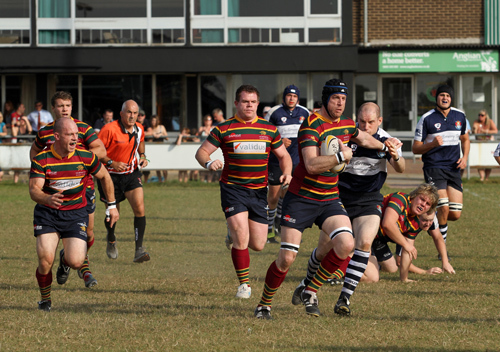 Norwich full back O’Brien started the scoring in the third quarter with a try after a scorching run from inside his own half which Micklethwaite converted. This was soon followed by a try from flanker Cartwright which Micklethwaite also converted. 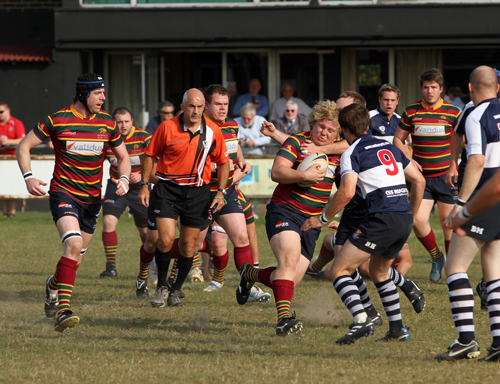 With the hot weather creating player fatigue the fourth quarter remained scoreless until seven minutes before the end of the match when Norwich prop Swanborough was sent to the sin bin for an illegal tackle. 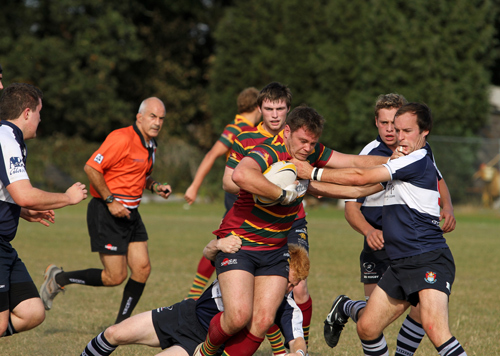 The Sudbury pack rallied against the remaining seven Norwich scrummagers and, after a series of scrums on the Norwich line, earned themselves a consolation penalty try, which Summers converted, resulting in a full-time score of 45 points to 14.